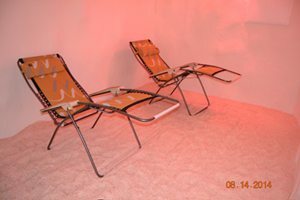 Halotherapy is therapy which makes use of salt. Numerous forms of halotherapy have been known of and used from millennia. One finds the first mentions of spa resorts in Poland in records dating from the twelfth century. They relate to bathing in mineral waters. The benefits of salt therapy come from the fact that salt is anti microbial and antifungal. The most effective type of salt therapy for respiratory problems is known as Dry Salt Aerosol. This means that minute particles of salt are mixed with air. The aerosol is produced by means of a dry salt aerosol generator, which is known as a halogenerator. The minute particles of salt are inhaled and act like natural antibiotics that help clear up infections in the respiratory tract. The halotherapy sessions are long enough to allow the salt particles to reach all of the areas – sinuses, bronchi, etc. – that need to be treated. Some studies show that halotherapy is an effective natural treatment for allergies, asthma, sinusitis and other respiratory condition. Our state of the art salt cave was created within our existing clinic facility. A layer of salt covers the ceiling and walls. No allergenic materials or glue were used to do this. The floor is covered with several inches of pink Himalayan salt. The most important part of a salt cave is the generator which fills the space with minute particles of salt. We use the best generator available, the Halomed Prima. More information on this generator is available here. The particles of salt produced by this generator are so small they are invisible. This makes the treatment more effective. The concentration of salt in the air is also constantly monitored and controlled by the generator. A sensor measures how much salt is in the air and turns the generator on and off as needed to maintain the best concentration. The salt we use in the generator is the highest grade, additive-free, 100% pure. Our salt cave has its own separate ventilation system. This is to ensure that a constant flow of fresh air is taken in, mixed with the salt particles, and then blown outside after it has been used. After each session the air in the salt cave is completely changed. This entry was posted in Halotherapy and tagged Halotherapy. Bookmark the permalink.